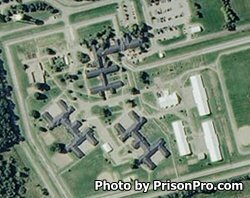 Lakeland Correctional Facility is located in Coldwater Michigan. It is a level II facility that can house up to 1,466 adult male inmates. Offenders are mostly housed in a dormitory setting, smaller rooms are shared by inmates who have displayed exceptionally good behavior. Vocational courses are available to inmates in culinary arts and horticulture, and educational opportunities include adult basic education and the ability for inmates to earn a GED.